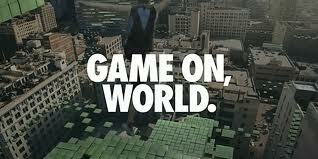 At this year’s tech conference I often heard phrases like “game-based learning”, “game-ified classrooms” and “Game-Up”. I attended sessions where these phrases were thrown about and then watched as educators played games in the exhibit area. I also found out that gamifying your classroom did not mean the students played games all day but that the whole class was set up so that students earned points or badges and advanced to higher levels on Leaderboards by scoring grades on assessments or mastering a standard or skill. I heard from one teacher who said that after posting leaderboards with total earned scores -“there was a spike in iteration with students redoing work so that they could do it better and advance a level”. There are even websites like www.classbadges.com where teachers can design virtual badges and then assign them to individual students or whole classes and lots of other ideas on line about how to gamify your class. Of course if you did want your students to learn while playing games there are some great games already on line. In fact BrainPop has an entire “Game-Up” link on the BrainPop home page. There are 45 science games including virtual labs, 34 Math games for all grade levels including Project Trig, 21 Social Studies games and 10 for ELA. One of the games I got to see in action was Quandry. This game is listed under ELA, Science, and Social studies because there are versions for each subject. And according to the description of the game “Students need to analyze issues from multiple perspectives, distinguish fact from opinion, and weigh evidence while judging potential solutions. As students evaluate the claims and arguments that other characters make, they’ll need to validate their reasoning and ensure that the evidence they present is relevant.” Wow, wouldn’t we all like our students to enjoy doing all that! This game like many others are built to address many Common Core State Standards, particularly within the Reading and Speaking & Listening ELA strands. Also just like the BrainPop movies each game has lesson plan suggestions and a quiz to be printed or projected to the whole class. For more games you can go to www.playfullearning.com and http://1bpopne.ws/1hLT01S. Also a game in the making for grades 5-9 can be found at www.playhistoria.com and many were excited about www.minecraftedu.com. Although I am still not sold on using Minecraft in the classroom but maybe some of you teachers that are also gamers can convince me otherwise.